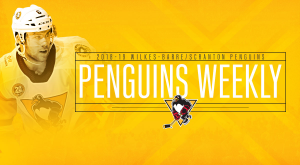 WILKES-BARRE, Pa. – There were several repeated sights at the Wilkes-Barre/Scranton Penguins’ locker clear out day this past Monday at the Toyota SportsPlex. Bags were packed with equipment, sticks were taped together for easy travel, and hug after hug was exchanged between teammates. It was almost as if every person in the locker room was caught in a loop. As their actions repeated over and over again, so did their words. Everyone who stepped in front of a microphone or camera admitted that the scene of locker clear outs came far quicker than anyone expected. 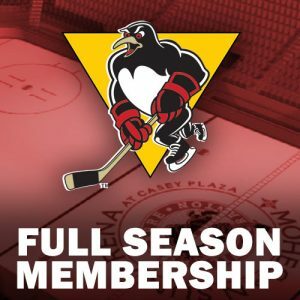 This marks the first time since 2002 that Wilkes-Barre/Scranton is not participating in the Calder Cup Playoffs, a fact that wasn’t lost on the players that suited up for the black and gold this season. It’s hard to put a finger on what exactly held the Penguins back from qualifying for the postseason this time around. Injuries and call-ups can always decimate an AHL lineup, and they definitely did this year, but Wilkes-Barre/Scranton has been able to overcome that in the past. The Atlantic Division being one of the most competitive in the league could have been a factor, as well. However, most players considered the main culprit to be inconsistency. 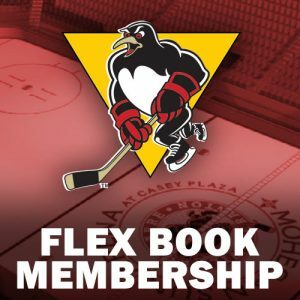 The Penguins never went pointless for more than four games in a row this season, but they also never amassed a winning streak longer than five games. Once the team seemed to get the ball rolling, there’d be a setback. 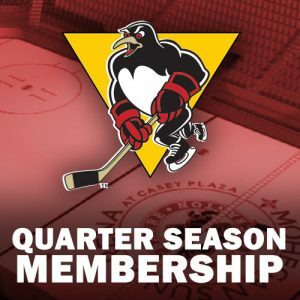 Frequent foes like Hershey and Providence, who both spent the first half of the season in the basement of the Atlantic Division standings, put together long runs like the Bears’ 17-game point streak and the Bruins’ 12-game point streak. Wilkes-Barre/Scranton, on the other hand, couldn’t manage to keep up with that pace and fell behind by a small step because of it. The Penguins stayed in the hunt right until the last weekend of the season, though. Their playoff aspirations were kept afloat by the spectacular goaltending of Tristan Jarry, as well as the emergence of some young stars. 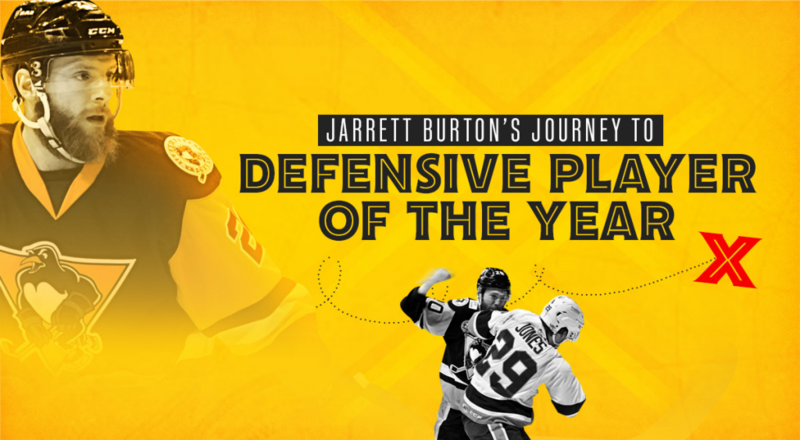 Thrust into bigger roles than most first-year pros are used to handling, the Penguins’ rookie class filled those situations snugly. 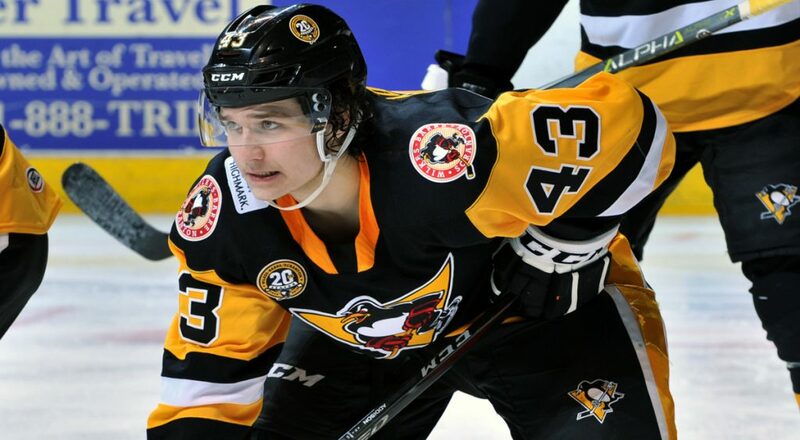 Hayes echoed Burton’s thoughts on the young players showing a bright future for the upcoming season(s) of Penguins hockey, and even added compliments to other rookies. He showed some love to Anthony Angello, referring to him as “a big body that can really skate,” and gave a shoutout to midseason acquisition Ryan Scarfo, too. “I was one of those young guys at one time, so it’s fun and exciting to see them do well,” Hayes said. One of those skilled youngsters, Sam Lafferty, was flattered by the compliments of his teammates. He felt their comments had a lot to do with the team’s general camaraderie. 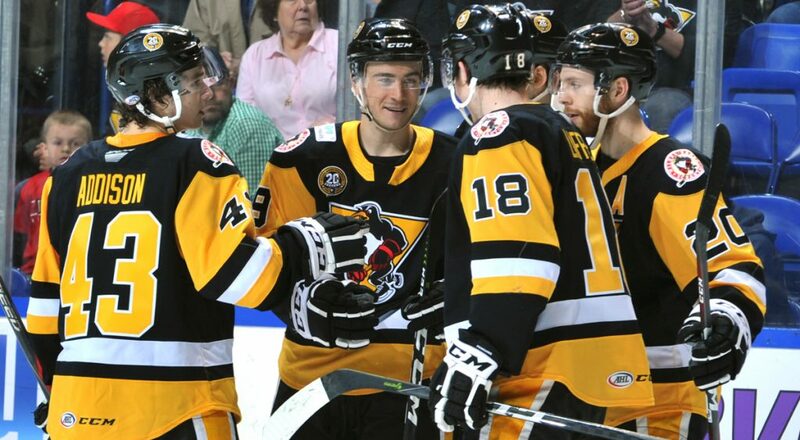 The 2018-19 Wilkes-Barre/Scranton Penguins became a tight-knit room over the last seven months, so he just wanted to utilize the day as one last opportunity to soak in their last moments together as a group. Now, the Penguins break from their loop and go their separate ways. Some will head home for the summer, others will attend to various offseason activities such as vacations, fatherhood, weddings and, of course, training. No matter how they choose to occupy their time over the next few months, they’ll be dwelling on how this season ended every single day until training camp.